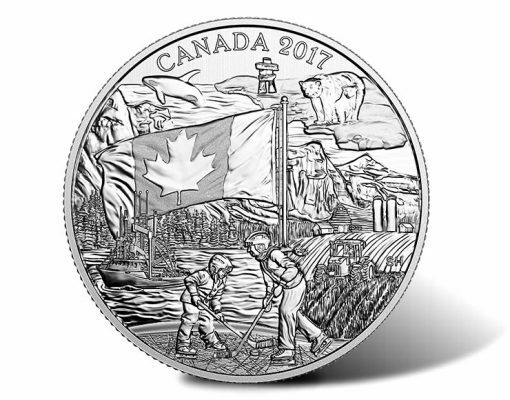 Imagery reminiscent of Canada appear on a new collectible that has the added attraction of being the most affordable silver coin produced by the Royal Canadian Mint. 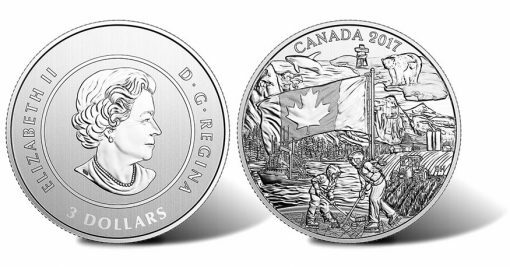 Entitled the 2017 Spirit of Canada Pure Silver Coin, each is composed from a bit more than one-quarter troy ounce of 99.99% pure silver and is priced at CAD $19.95, which is about US $15. Canadian artist Steve Hepburn designed the coin’s reverse (tails side). 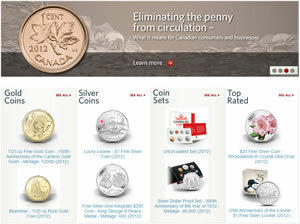 As the second largest country in the world, there are a plethora of possible scenes identifiable as Canadian. Those most emblematic of the spirit of the country are representted. The 2017 Spirit of Canada Pure Silver Coin is available directly from the Royal Canadian Mint at mint.ca. 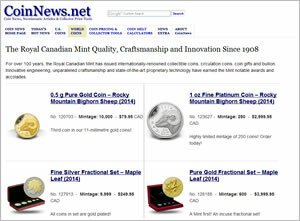 An affiliate link to the coin’s product is right here. Each coin is enclosed in unique folder-style packaging that can either be stored for posterity or displayed using its pop out easel back. Looking to seen this new,unlimited mintage 2017 coin, sell out.Thus, not minting more,will make it a true value collectable coin.Very nice coin too.